Congress leader Sajjan Kumar had been acquitted in this riots case by the trial court but Balwan was convicted along with four others. The accused had challenged their conviction and life sentence by the trial court in May 2013. 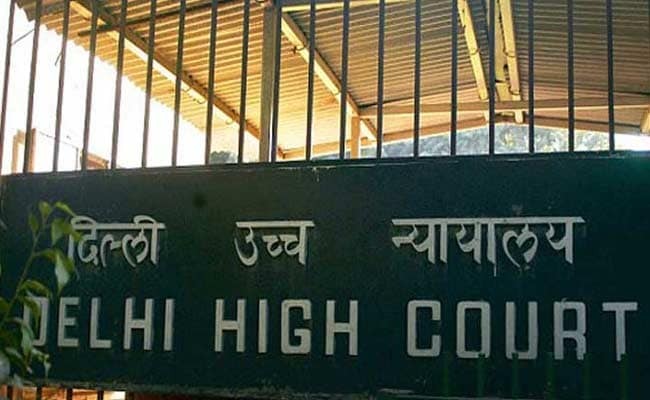 New Delhi: The Delhi High Court today granted bail for 14 days to a former Congress councillor serving life term in a 1984 anti-Sikh riots case to enable him to sell his property and arrange funds to pay his lawyers. A bench of Acting Chief Justice Gita Mittal and Justice Anu Malhotra released Balwan Khokhar on bail on the condition that he will neither leave the national capital nor try to contact or influence the witnesses in the case. The bench granted Balwan the relief, subject to his furnishing a bail bond of Rs 25,000 with one surety of the like amount. The court, however, rejected the additional ground -- medical treatment of the various ailments he is suffering from -- on which he had sought bail. The bench said there is no need to release him on medical grounds as the jail authorities are taking care of his medical needs. His plea was opposed by the CBI which said complaints have been received that he had tried to pressurise witnesses in the past by contacting their relatives. The agency also said that the bail plea did not give details of the property to be sold. Thereafter, Balwan's lawyer provided the property details and the bench granted him bail for two weeks. Arguments were also concluded on behalf of Balwan in his appeal challenging his conviction and sentence. Balwan, retired naval officer Captain Bhagmal, Girdhari Lal and two others were held guilty in a case relating to the murder of five members of a family in Raj Nagar area of Delhi Cantonment on November 1, 1984, after the assassination of then Prime Minister Indira Gandhi. They had challenged their conviction and the award of life sentence by the trial court in May 2013. The trial court had acquitted Congress leader Sajjan Kumar but awarded life term to Balwan, Captain Bhagmal and Girdhari Lal and three-year jail term to two others - former MLA Mahender Yadav and Kishan Khokhar. The convicts have filed appeals before the High Court while CBI too has filed an appeal alleging that they were engaged in "a planned communal riot" and "religious cleansing". The agency has also appealed against acquittal of Mr Kumar. The high court had on March 29 issued show cause notices to 11 accused including Kishan and Mahender in five 1984 anti- Sikh riots cases. The accused, who were acquitted of the charges, were asked why should the court not order reinvestigation and retrial against them as they faced allegations of "horrifying crimes against humanity". The bench had issued notices on the complaints filed regarding the violent incidents on November 1 and 2, 1984 in Delhi Cantonment area.